Who: Sarah Prout and Sean Patrick Simpson (co-founders of Älska Publishing). Älska means 'to Love'. 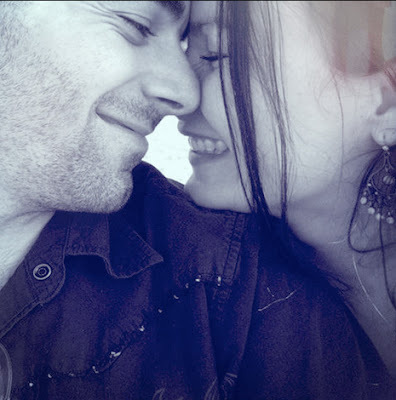 Co-Founders Sarah Prout and Sean Patrick Simpson met and fell in love… on Twitter! When their worlds collided from opposite ends of the planet their missions were united into conscious business practice founding the company in early 2011. What: Älska (elsh~ka) is one of the world's fastest growing personal growth/metaphysical publishers. Our bestselling Adventures In Manifesting series now has over 30,000 books in print in just under 12 months. When: We started Älska in 2011. Why: To inspire and empower people to create their best lives. We team up with the most empowering and inspiring authors and thought leaders: from visionaries to change makers, these are the people who are spreading consciousness throughout the world. 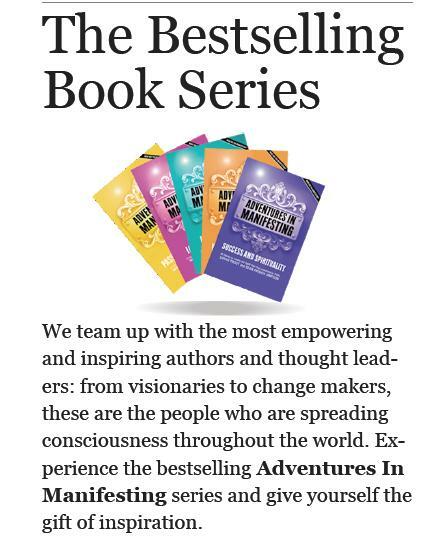 Experience the bestselling Adventures In Manifesting series and give yourself the gift of inspiration. Their book, Adventures In Manifesting - Love and Oneness (From a series of five) includes 32 stories to align with the power of love. These inspire your soul and create inner peace and harmony to be happy ever after. The stories are realistic and offer a guide for my own journey. My plan is to read the series. Their websites are informative and appealing. Hello everyone! 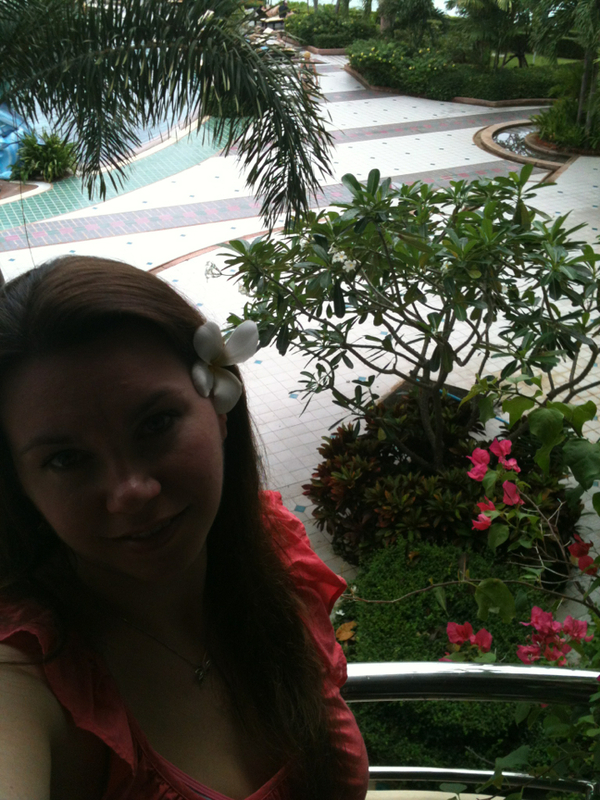 I'm Dawn Dillard, a Beachbody Coach and TurboKick instructor certified. I was in almost every sport possible growing up, but somehow lost my way in college. After having kids and with the increase of obesity in America, I became progressively concerned about the foods we eat and getting back into a regular workout schedule. I was very lucky to find Beachbody. My journey started with drinking Shakeology and doing Beachbody’s P90X home workout. Now, two years after finding Beachbody: I am a Beachbody Coach, have done numerous Beachbody home workout programs, completed their 21 Day Ultimate Reset (clean eating detox), have become TurboKick instructor certified, and play soccer. I can now say that I am the fittest I have been in my adult life, all due to Beachbody. I also have a great network of Beachbody and Facebook friends that love to share their knowledge on clean eating and working out. So I love what I do, and my health and life is better for it! And no matter where you are located, I would love to help you too! Please don’t hesitate to contact me for questions or free advice. Beachbody is focused on getting everyone healthy and ending the trend of obesity. See more information on Beachbody below. Are you interested in a support system to get healthy and/or fit? Beachbody has been producing the nation's most popular in-home fitness programs for more than 10 years (P90X, Insanity, TurboFire, Les Mills Pump, etc). No matter what your goals are — to lose weight, become totally ripped, take your strength and stamina to the next level, or just get healthy and feel great — our proven-effective DVD programs, workout equipment, and top-quality nutritional supplements can get you the results you want (see websites below). I look forward to helping you succeed in your goals! Are you looking to spring clean your diet with a nutritious eating plan? Supercharged food is an altruistic website to help you expand your range of healthy food choices and plan ahead to create and maintain a satisfying, wholesome and nourishing diet. The main purpose of the site is to provide classic yet easy to prepare yummy recipes which are all gluten, wheat, dairy and sugar free. If you are feeling low in energy, run-down, tired and fatigued, Supercharged food can help you feel fabulous again. By offering insights on nutrient-rich foods and by using food as medicine the program restores health at cellular level, giving you more energy, vitality and reducing the risk of illness. You can also read interesting health articles, create a shopping list and weekly food planner and submit your favourite recipes too! Book - Supercharged Food by Lee Holmes is a simple and inspiring guide to eating for optimum health. It features more than 90 recipes that are gluten, wheat, dairy, yeast and sugar-free, each bursting with nutrient-rich or ‘super’ foods that will help nourish and heal your body. When: The Website began on 1/7/2010. Why: I started sharing recipes with friends and family and the easiest way to do this was through the internet so I created a website called www.superchargedfood.com to enable my friends to find the recipes whenever they needed them. The website became more and more popular and then friends of friends were sharing the recipes and it just grew from there. The principal behind Supercharged Food is to use food as medicine to heal the body at cellular level. This is done by finding the foods that work for you. If you have food intolerances or allergies - have tests or do a food elimination diet to find out what those foods are and avoid them as they cause inflammation and an immune response in the body. Supercharged Food is about eating as healthily as possible, banishing fatigue, providing more energy and bringing out the best in you. Keeping processed foods to a minimum and combining nutrient rich super-foods into your diet helps to supercharge your health. Lee's book is vibrant & inspirational. Her explanations of what constitutes Supercharged food & their benefits are clear & very thorough. The recipes illustrate Lee's beliefs & research. The book is organised in sections & beautifully illustrated. Lee's website is visually appealing & contains similar information to her book, Supercharged Food. What: I have a double degree - Bachelor of Arts majoring in Drama & Media and a Bachelor of Teaching (Secondary). I take dance classes in a variety of styles. I enjoy going to the theatre, concerts, the beach, walking, tennis, skiing and spending time with family and friends. I am a Secondary School Teacher, Year Level Coordinator, the Performing Arts Coordinator and Director of the School Musical Productions. I teach Drama, Dance, Media and Pastoral Care which is like a wellbeing type course. I have also taught Health. In the classroom these subjects look at developing the creative mind, the development of oneself, intra-personal and inter-personal skills, learning to communicate and express yourself, developing a range of skills for life. As Drama and Dance are practical subjects, theory and techniques are covered in looking after the body, voice and nutrition. The students explore issues related to all facets of life - social, political, historical and create performance pieces based on themes or issues, which make points or raise questions for the audience. Directing the musical productions gives the teenagers confidence, learn performance skills, work in a team, take direction & make new friends. It's a very important part of the experience! As a year level coordinator I have to work in a team supporting the sub-school and am responsible for carrying out duties such as uniform, attendance, the progress of the student in their subjects for the year levels I'm responsible for. There is an emphasis on the wellbeing/welfare of the students and I liaise with the Wellbeing/Welfare coordinator if students are at risk. When: Began teaching in 2001. Why: I teach because I am passionate about my subjects and passing on the knowledge they provide, helping develop young people to have creative minds and develop life long skills. I especially like to see young people develop confidence in themselves. W-Guests will appear on this blog... What is a W-Guest? 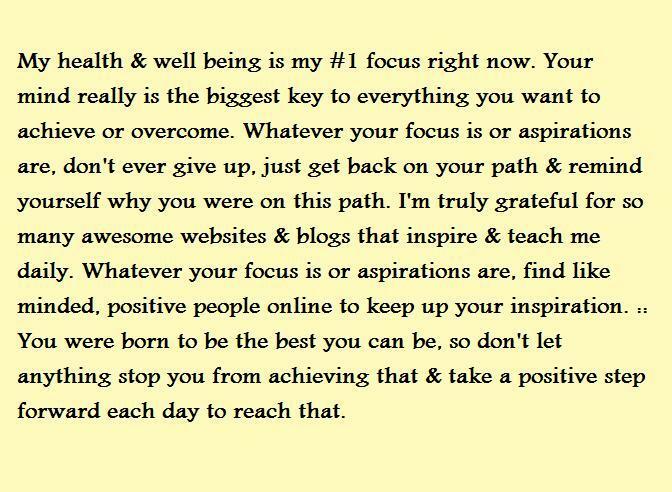 Someone I know who has a career or lifestyle path that incorporates Wellbeing. 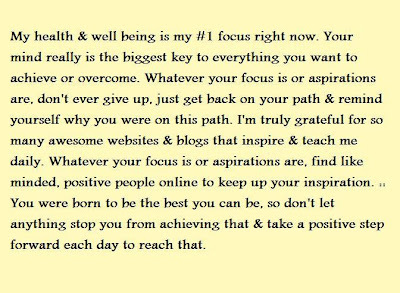 You will meet everyday people who are making the most of their health knowledge/ideals and may inspire you. 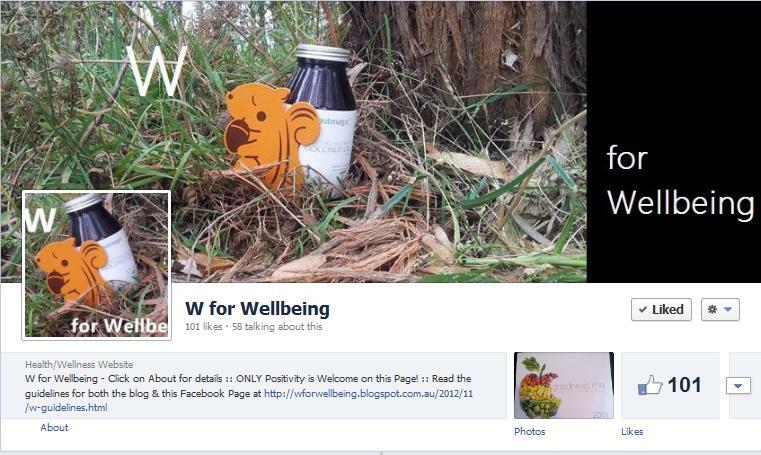 "Like" W for Wellbeing on Facebook! Please "Like" the Facebook Page to keep up with all my new posts & more!